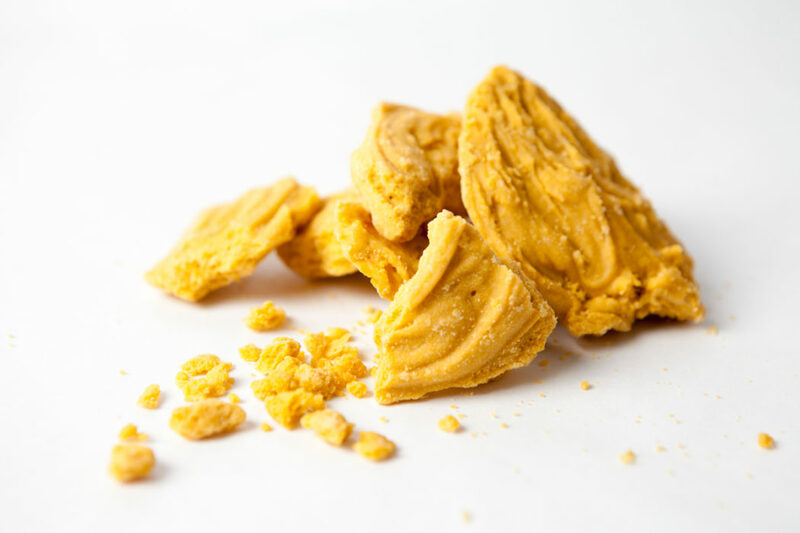 Wax is a material that is created through extracting trichomes and terpenes from fully cured (dried) plant matter. The oils and resins that are extracted are then heated and whipped to purge the remaining solvents to ensure a safe product for final use. Great for vaporizing in a dab rig for optimal use.